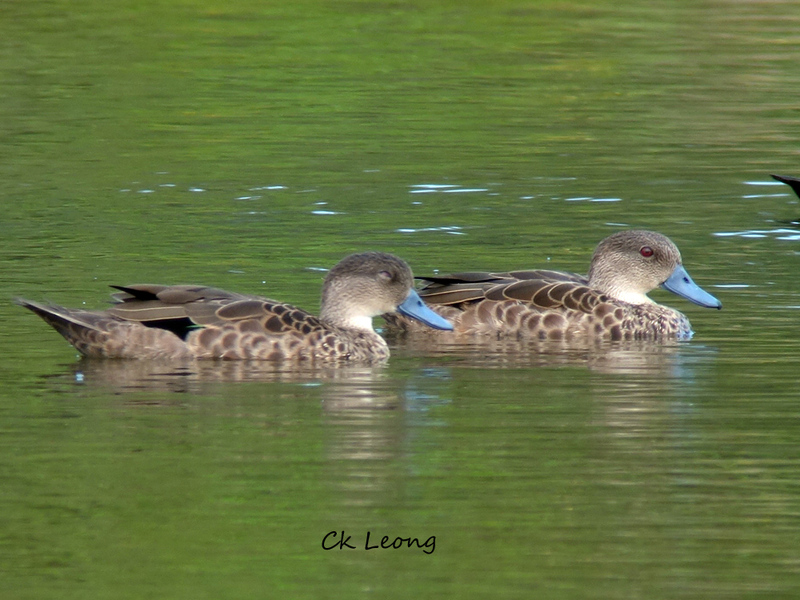 The Sunda Teal Anas gibberifrons is a super rare duck previously only known from Kalimantan. I would also mention here the Indonesian island of Sulawesi being the other location nearest to where I saw these ducks, at a disused (prawn farming) pond at the Tinagat beach near to the town of Tawau in south-east Sabah. This duck has been making sporadic visits to this area since the beginning of this year. On my visit here in October, I was rewarded with a flock of 14 birds! Thanks to Kok On Ku, fellow birder and photographer who led me to this great spectacle.